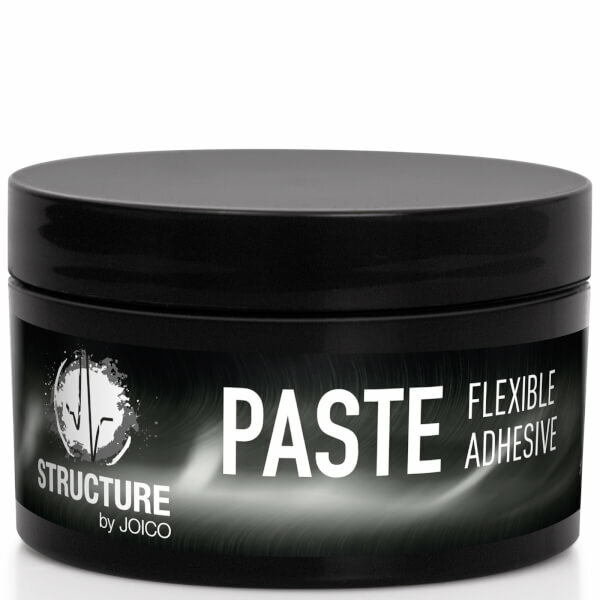 Sculpt and texturise hair with the Joico Structure Paste Flexible Adhesive; a malleable styling paste wax that provides a firm – but not stiff – hold, giving you complete creative control of your look. Ideal for all hair types and especially effective for shorter hair lengths, the pliable formula helps to mold locks into stylish shapes and ‘dos for matte texture. Rub a small amount in hand palms and distribute through dry hair. Mold into shape. Apply a little extra to increase hold and control.